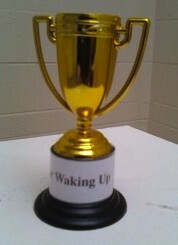 You won a victory by just waking up today. Don't discount that, and build on it. Try to appreciate all the small victories in life as you know how the war will end.